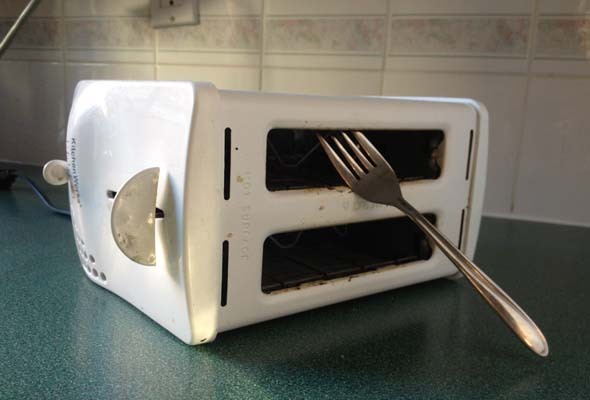 Broken toaster? Consider getting it fixed rather than buying new. The audience reading this newspaper doesn’t have to be told to get things repaired when they break rather than buying something new. You have all been brought up “green”— to reuse, repair and recycle. Unfortunately, we have become a throw-away society, and things are not made to last as long as they once did, nor do we expect them to. Manufacturers save money by not having to stockpile and warehouse spare parts for appliances, and they cut costs by eliminating the manpower needed for shipping and storage. Those of you who treasure saving items from obsolescence will be happy to learn there are still people who repair things. Before you replace something simply because it is old, think again. It might be more valuable and functional than a newer throw-away model. Fix ‘R’ Us is a friendly West Island repair depot. They offer free estimates, and here’s an abbreviated list of what these guys with golden hands can repair: all makes and models of TVs, vacuum cleaners (they sell bags, too), coffee makers, car audio systems, cellphone screens and musical equipment including keyboards, amplifiers and sound systems and so much more. The best deal here is the watch battery replacement for $4. Radio St. Hubert has been open for more than 45 years, selling TVs, DVDs, sound systems, radios. Once you have bought something here, they do not forget about you—there is an in-store repair and installation department to take care of your purchases. This business has survived with old-fashioned, patient customer service and salespeople who have been there a long time. Major brand names are stocked, such as Panasonic, Toshiba, Sharp, JVC, Elite, Pioneer. They carry such brand-name speakers as Paradigm, Klipsch, Monitor Audio, Wharfedale, Dali, Era and Epos, as well as sound equipment by Creek, Elite, Cyrus, Integra, Harmon Kardon, Myryad, Sunfire, Sugden and Anthem. Look for Tivoli, shortwave and satellite dishes by Illico and Bell Express View. Handbag Repair Company is in the business of repairing handbags, briefcases, luggage (all airline claims), umbrellas and zippers (even on coats) and will order discounted luggage (Delsey, Westjet, Samboro, Bugatti, Mancini, Swiss Army, Victorinox, Jaguar and knapsacks). The folks at Cordonnerie Westmount in Westmount Square have mastered the art of repairing high-end shoes—Louboutin, Jimmy Choos, Stuart Weitzman and Gucci—but can also fix regular brands. The owner’s skills were learned from an uncle, a master shoemaker, and he was taught how to fix vintage bags, rips from dog bites and broken heels. You can have your high heels raised or lowered, purses can be repaired, bags, jackets and shoes can be redyed and boots that are too wide can be put on a diet. Products for shoe maintenance can be found on the shelves, as well as non-slip grips for traction—this is Canada after all. 1 Westmount Square, at Ste. 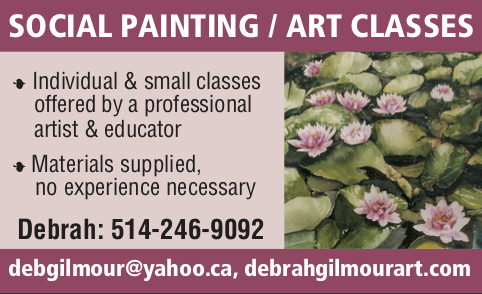 Catherine: 514-939-9729; 367 Arthur Sauvé in St. Eustache: 450-623-6201. Be the first to comment on "Smart Shopping: Reuse, repair, repurpose your treasures"